Hey ladies (and gents)! Sorry I haven't been posting much lately, it's been pretty crazy here, as some of you guys may already know (follow my Snapchat to hear more of my story), but 2017 is here, and I am coming back with a bang! So I recently received a lovely box of goodies from SaSa, and there were some pretty interesting products in that box. Some are unconventional, and I thought I'd share them with you guys to get a good feel of whether you guys want me to make a video out of any of these. Its application and use are extremely easy too, unlike some other brands out there that require you to keep retainer-like moulds on with the product in it for a while whilst waiting for the product to take effect. With Too's Smile White Up Essence, all you need to do is drop a couple of drops of the essence into your toothbrush, then brush your teeth like you normally would, without brushing your gums. I'm curious to find out how often you can use it, and for how long. I am also super interested in filming a live video of this product in action to see if it works, since my teeth are a little yellowed from this thing called fluorosis (and a heck of a lot of coffee, of course). Let me know if you guys want to see this! Avance is a well-known lash growth serum brand from Japan, and it's received rave reviews from everyone from all corners of the globe. It is more affordable than a lot of lash serums out there, and comes in a nice fat tube so you're really getting your money's worth. So obviously, this is perfect for me and I cannot wait to try these! At the moment my lashes are a normal length, but quite sparse (especially on my right eye, for some reason) from being pulled and yanked at whenever I remove my false lashes. We'll see how it performs! I've always found Asian skincare a little weird. I mean, come on. We use essence of snail, bee venom, deer antlers, and now horse oil? Yep, Guerrisson is a Korean brand famed for its horse-oil infused products. Honey Lee, Miss-Korea-turned-media-personality, endorses the brand and has raved about their products on the hit show Get It Beauty (I watch it sometimes too - a kind soul on YouTube uploads the shows and includes English subtitles, bless their heart). This hydrogel mask (fancy version of a sheet mask) is 24k gold-infused to combat sagging and wrinkles, and of course, contains horse oil for deep hydration and moisturisation. The brand has received mixed reviews on the world-wide-web, and I'm curious to find out just how this product stacks up against other sheet masks that I've tried and loved. Oh, and in case you're wondering, I checked, and this mask smells nothing like horse or meat. It smells of citrus (phew!). You're welcome. I swear, it's like I don't need to research Asian brands anymore, because all I need to do is walk into SaSa and I'll find a cult product I've never heard of that's making waves in the Asian market. This is one such product. The Daeng Gi Meo Ri brand is blowing up in Korea at the moment because of the brand's supposed ability to prevent hair loss, greying, and thinning. So many people have tried and loved their products, particularly this Vitalizing Hair Essence (which smells quite floral and fragrant, instead of herbal - you'll see why I brought this up in a minute). The shampoo smells strongly of herbs, but the smell disappears after a while, and besides, if it's going to increase hair growth, who cares what it smells like?! I myself have brittle, damaged hair (and I'm pretty sure I suffer from hereditary hair loss) so I'm really looking forward to trialling this one. I might use it alternately with my current favourite shampoo, and see how it performs on my hair. This one is by far the product that most intrigued me when I discovered the contents of my box. I'm sure by now most, if not all, of you have seen that viral video where a woman taps a product into her large eye bags, and after a few seconds of tapping they virtually disappear. I have been all over the internet trying to find that product, and then finding it and trying to find a seller that ships to Malaysia, and then finally trying to justify the cost of buying it and shipping it to me. I guess I don't have to look anymore, do I? This pen claims to do exactly that - erase your fine lines, wrinkles, and sagginess in just 60 seconds! I wouldn't have bought into these claims if I had not seen that viral video, but now I cannot wait to test this bad boy out. Road test vlog, anyone?? I suffer from enlarged pores - inherited from my father - and am always looking for a way to reduce their appearance. 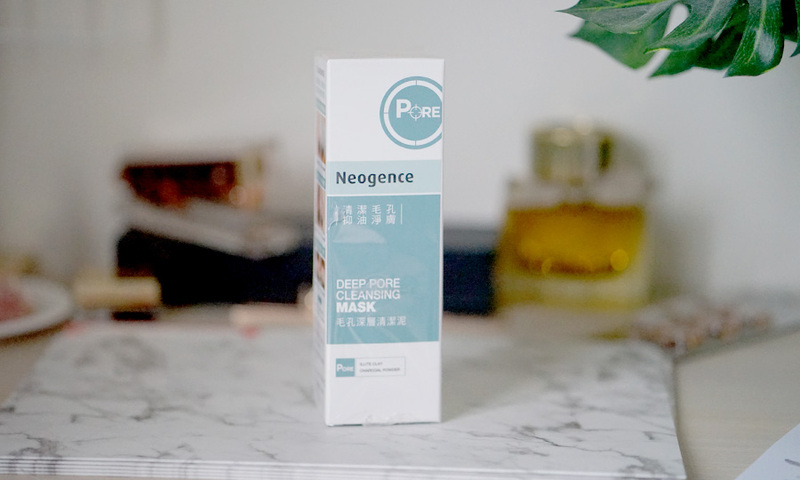 Keeping your pores clean is one surefire way of reducing their visibility, so I'm always game to try a pore cleansing mask. This one, you're meant to apply to the oily areas of your face, like your T-zone and any other areas with enlarged pores. Some masks, to be honest, aren't really all that good, so I'm hoping this one will work well, and I'm happy to report back when I do! I love multi-tasking products!! 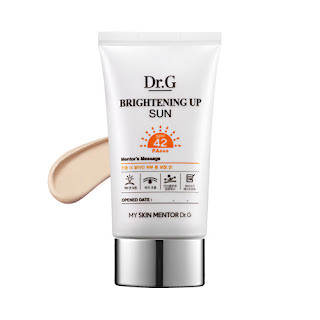 This one is both a makeup primer and sunscreen in one product. It smooths and brightens the skin, creating a great base for makeup to go over. 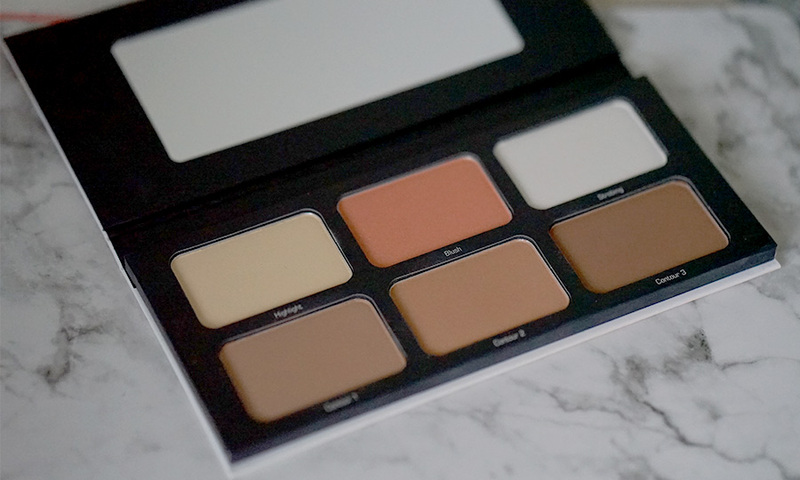 Plus, it's slightly tinted, which means you get a smooth, even base, which means you can wear it even without makeup. It also controls excess sebum with an ingredient called tannin complex. I've been looking up and down for a product that might help control the oiliness in my T-zone, and hopefully this is the one! Moving on to some other products in my little box of goodies that are already products that I know are awesome - makeup! One of my favourite packs in this box! 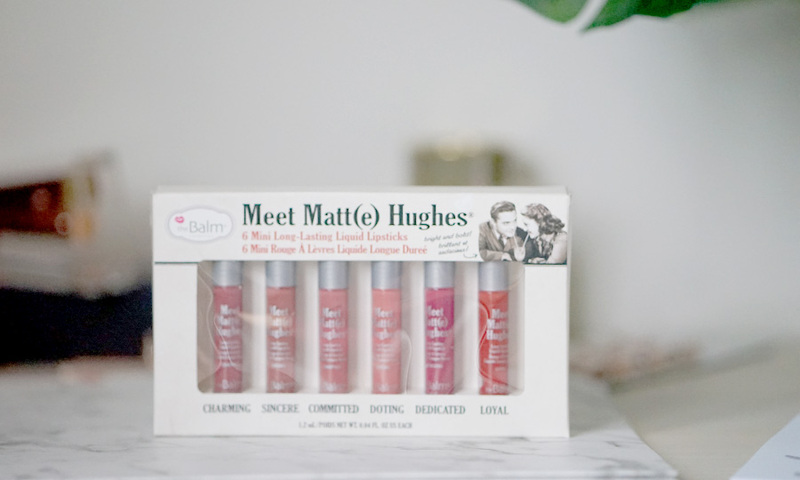 This is a little gift set of TheBalm's liquid lipsticks, which are divine! So if you're looking to try out a great brand of liquid lipsticks and love wearing a large array of colours, or want more colours in your lipstick wardrobe, this is a great way to try some out! I think this is a pretty awesome set of colours, too - not too dark, and not too boring. How cute is this brow mascara? 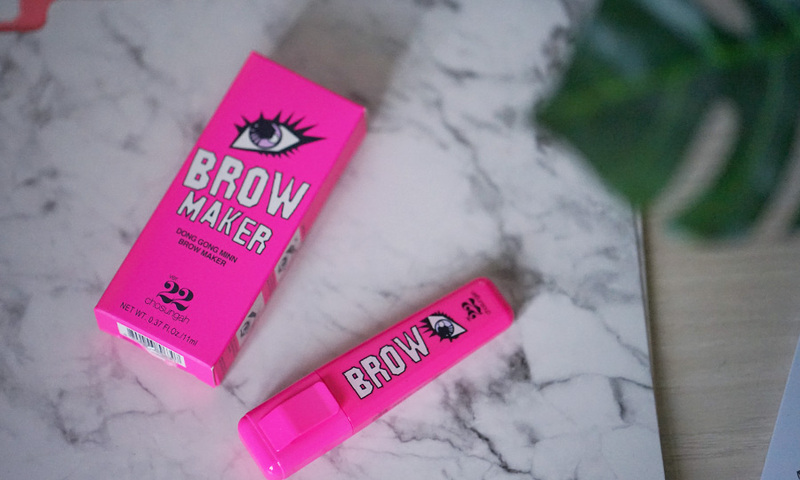 It is Korean made, and is supposed to last FOREVER on the brows. It has a little doe-foot tip (like those on lip glosses) to help you colour in your brows where there are no hairs, which is perfect for those of us with really sparse brows, or sparse areas. It comes in two colours - the one I have here is the lighter and I think suits me better. I will use it in a makeup tutorial soon, so you guys can see the effects on my brows! 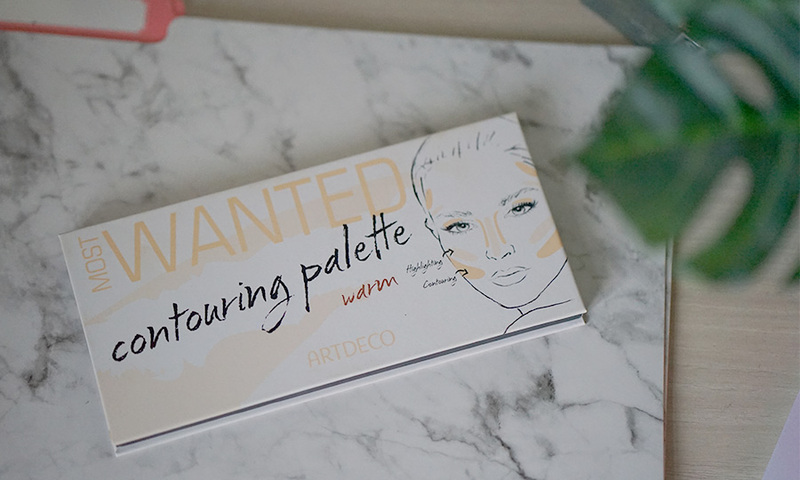 This is a palette I absolutely love, and that I've already used in multiple tutorials and Instagram videos. See below! So these were just some of the products that caught my eye in my little SaSa haul unboxing! Let me know if you'd like to see anything on any of these products, and thank you SaSa for introducing these products to me!